Toe Pain Is A Common Complaint In The Podiatrist's Office: What Are the Causes? Toe Pain Is A Common Complaint In The Podiatrist’s Office: What Are the Causes? Nearly every week, someone comes into The Center for Podiatric Care and Sports Medicine with a hurting toe. “Toe pain can be from a variety of causes,” says Dr. Nadia Levy, “so it’s best to get a consultation and professional advice before the problem worsens. 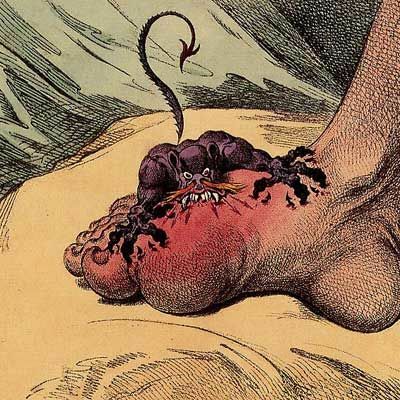 Unfortunately, most of the cases we end up seeing have already progressed past the point of conservative treatments.” Learn more about the causes of toe pain and catch trouble in time to avoid long recoveries! Dr. Katherine Lai says she sees a lot of patients who think their toe has been seriously injured only to find out that the pain is coming from another part of the body entirely. “Sometimes pain in the toe can be coming from a pinched nerve in the ball of the foot that sends sharp pains into the toes,” she explains. Are my toenails clear with white ridges? Abnormal coloring that is yellow or cloudy can indicate serious issues like heart conditions, diabetes, kidney, lung, or liver disease — not to mention, toenail fungus. Are my nails growing straight up and out? Sometimes the corner of a toenail (one that is cropped too short or injured) can catch the soft tissue and start growing back into the body. Nails should be cut straight across. Is your toenail black, blue, or spotted? Discoloration is a surefire sign of infection, bleeding underneath, or a medical issue. 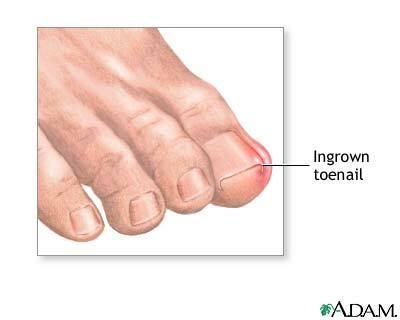 Spots that don’t move along with regular toenail growth indicate a problem with the tissue, below the surface. » Flat Feet: How Serious Are They for Foot Health?